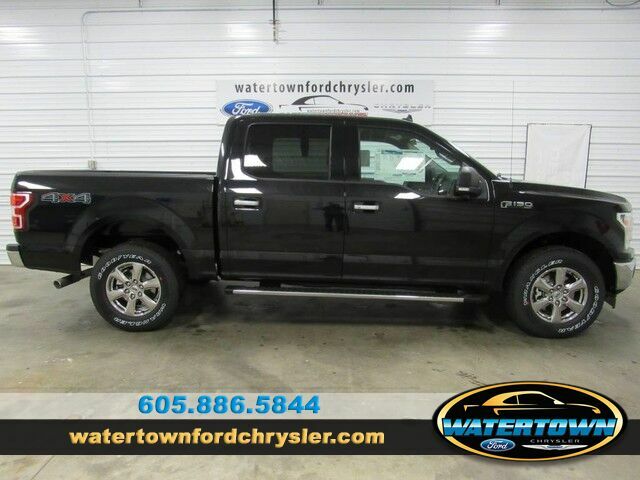 Contact Watertown Ford Chrysler today for information on dozens of vehicles like this 2019 Ford F-150 XL. This vehicle comes with 4WD for better traction on unstable surfaces, like snow and dirt to give you the edge over anything you might encounter on the road. You can finally stop searching... You've found the one you've been looking for. The look is unmistakably Ford, the smooth contours and cutting-edge technology of this Ford F-150 XL will definitely turn heads. The Ford F-150 XL will provide you with everything you have always wanted in a car -- Quality, Reliability, and Character.